At the GSPCA often the focus of our work is the thousands of animals we help every year. We couldn't do this without the amazing team of staff, volunteers, placements and supporters. On average every week 90 to 100 volunteers and placements help from giving as little as an hour to some even 7 days a week. This is also over a 24 hour period as without our wonderful Volunteer Wardens Matt, Jen, Anna, Paul, Michelle, Suzy, Natalie, Steve, Sarah, Geoff and Dave we couldn't provide the emergency night cover in our ambulance. Yesterday we found out from Karen Marsh the ‎The World's Boldest Ever Kindness Experiment facebook page that a young man called Oliver has challenged his class to help animals in Guernsey. 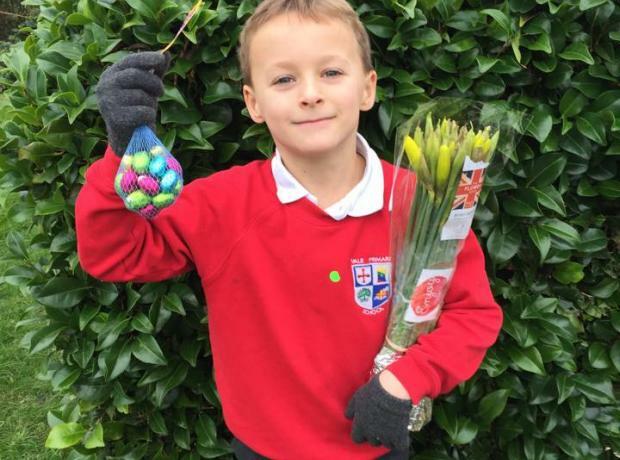 Yesterday Oliver who is in Vale Primary School took flowers for his teacher and chocolates his class mates. As part of the Random Acts of Kindness week he has challenged his whole class to be kind and to collect old towels and donate them to the GSPCA.